22 August 1999. Thanks to q/depesche and Futurezone report. Translation by JYA/Systran. In our modern, enlightened world at the threshold of the 3rd Millenium there are only a few more secrets for which the public still remains curious. The intelligence services should be free of doubts and mystery. Even the well informed viewer frequently has only a vague picture of the purpose and function of the Federal Intelligence Service. Insufficient knowledge is replaced again and again by opinions, rumors and prejudices. In a democracy the citizens have a legitimate requirement to be informed about the activity of the intelligence services. An intelligence service can only work successfully however, if sensitive information is effectively protected and remains secret. Under these conditions we present our Homepage. They give a fundamental overview of structure, function and integration of the Federal Intelligence Service into the national structures. The purpose of the Federal Intelligence Service consists of providing to the Federal Government intelligence of foreign and national security significance. I am pleased to be able to present for the first time the more than 40 years-history of the Federal Intelligence Service to the public. The Federal Government needs at any time as exact, reliable and comprehensive an information about developments in other states as possible. This applies in particular to foreign affairs and national security. The different interests of states, which had to be frequently subordinated to those of the respective power bloc in the past, stand out substantially more clearly in today's multi-polar global arena. Seen this way the world became less clear, less predictable, which means, in addition, that the need grows for reports. More and more reliable background information is needed promptly than before on the increased significance and responsibility of united Germany. The search for common interests is the basis of a strengthened bi- and multi-lateral cooperation. Knowledge of opposing interests improves our own negotiating position, by making suitable preventive strategies possible. Early recognition of separate current interests - direct threat potential of a state aimed at us - can help to defuse unfolding conflicts in time to ease them. The need for information of the Federal Government covered by a range of information providers, as e.g. by national institutions as Ministries and authorities, and, in addition, by private mechanisms and media. These cover a broad spectrum. However, for some countries and topics the information is not sufficient. Here the Federal Intelligence Service acts as the only foreign intelligence service of Germany. It procures among other things with its specific intelligence capabilities secret communications and supplements that with other information sources. It can be replaced therefore by no other institution. Without the Federal Intelligence Service important information for foreign affairs and national security decisions would be lacking to the Federal Government. The Federal Intelligence Service is led by a president. The authority is divided into five departments. The school of the Federal Intelligence Service is subordinated to the department of administration. In addition there are line agencies for work needed. Also in the age of the application of modern technologies, as, for example, within the range the classical intelligence work, i.e., the production of secret intellgience from human sources -- against widespread opinion -- lost satellite and communications intelligence not meant. Those connections, interest entwinements and conflicts in the world, which can be verified only with increasingly freater difficulty, with their foreign and national security signficance for the Federal Republic of Germany can be seized frequently only over informants with good access. The selection, production and control of informants make great demands against the staff of the operational intelligence with the requisiste care, mental mobility, creativity and employment pleasure. High sense of responsibility and large technical qualification are indispensable, directly for the protection of the persons who cooperate with the service. Always particularly to the proportionateness between personal risk, material and organizational expenditure on the one hand and the value of the information which can be expected on the other hand one must pay close attention. Department 1 maintains beyond that relations with the intelligence services of other states. In addition the Federal Intellgence Service maintains among other things world-wide foreign agencies, the so-called Resident Agents. Department 2 procures intelligence about the foreign countries relevant for the Federal Government, with technical means for searching and data processing of the abundance of the international communication stream by purposeful filtering. The technical procurement is cost-intensive, but efficient. It supplements the procurement with human sources and can in individual cases eveb replace human sources. The assigned technical procedures cannot be openly disclosed for understandable reasons. Why? This would have the consequence that the participants in the international communications traffic, whose foreign and national security-relevant behavior within the given legal borders were to be explored could extract themselves by appropriate adjustment of their behaviors from this investigation to a large extent. Department 3 forms the starting and terminating point of the entire intelligence work chain in the Federal Intelligence Service. The orders for intelligence of the Federal Government are converted into orders for procurement for the departments 1 and 2. Those operationally and technically procured secret messages are analyzed together with other information. Staff with appropriate scientific training provide an integrated situation picture to topic-referred criteria from this multiplicity of items of information under country and and prognosticate future developments. The results are provided the Federal Government and authorities are informed depending upon need, in writing or verbally, in detail or in short form, regularly or for specific current reason. The heart of the evaluation is the situation and information center (LIZ), in which around the clock the current world-political happening is observed approximately. 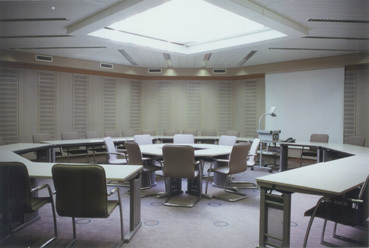 Modern conference and conference rooms stand for the staff of the evaluation for the fulfilment of their tasks for order. Like every other modern service, the Federal Information Service would not function without personnel management. Human resources, planning, organization, finances and legal rights are here summarized by department. Logistics and infrastructure of the Federal Intelligence Service are made available world-wide. The administration the special conditions of a Foreign Intelligence Agency with its very different departments and the requirements resulting from it must be fair. For the Federal Intelligence Service abides the principles and regulations of the public administration. Our staff do not get "dream salaries", like the relevant literature and films suggest, but are paid according to their status as officials, employees, workers and soldiers. The example of an activating state is converted also in the Federal Intelligence Service. It is a necessary goal of the introduced reorganisation and rationalisation of the service, but in considerable measure already does not only realize. A goal is it to fulfill with same or even decreased personnel by increasing the efficiency of performing tasks. Each intelligence service avails itself of the technical capabilities of its time. In order to ensure the technical supply of all departments of the Federal Intelligence Service with a broad pallet of services, it requires the constant augmentation with innovations within the domains of communications technology, data processing, office technology as well as relevant scientific domains. The department ensures by supply and operation of communication systems (telecommunications, information technology, data networks) for the fact that information is availalbe world-wide on quickest means and internally authorized. An efficient computing centre is a basis for this service, which is rounded off by a functioning user support. 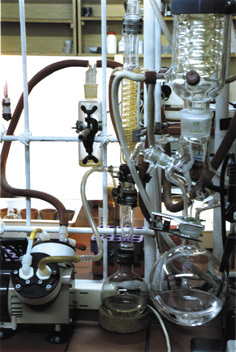 In workshops and laboratories intelligence technology for different intended purposes is developed. The Quality Control Bureau serves the presidents and the specialist areas. The information gained from it flows into a management information system. A goal of its activity is to set a continuous improvement process in course and to make thus a contribution for administrative modernization. A counter-espionage agent of the Federal Intelligence Service is in an exposed position due to its organisational structure, and he needs secret protection and so does his special mission (Sicherheitserfordernissen) from opposite other security services. In the context of the secret protection and the counter-espionage it is incumbent on the Federal Intelligence Service also to ensure responsibility within for its own counter-espionage mission. The task of this work area is above all the protection of its officers and intelligence networks. It is incumbent on it also to protect counter-espionage means and methods as well as work methods and results of working before security-endangering attacks, in particular by agents of other foreign intelligence services. These features have become particularly virulent since the end of the east-west conflict and thus represent new challenges to the community of the civilized, democratic states. The Federal Intelligence Service employs approximately 6,000 full-time staff members. Almost all occupational groups are represented, abroad the in Germany as officials, soldiers, employees or support workers. The conditions for attitude of the Federal Intelligence Service correspond to those of the different careers of the Öffentlichen service. Since however hardly another authority in Germany employs staff with as various and different training and from this resulting knowledge as the Federal Intelligence Service, it is difficult to designate generally accepted requirement profiles. There are however apart from basic training for dealing with questions of foreign policy, unusual cultures, demands as well as for language-skills and mobility. 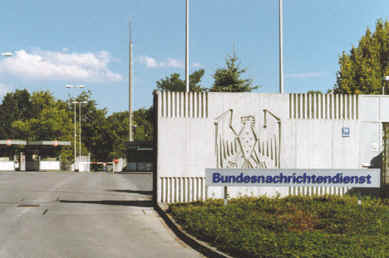 The Federal Information Service collects the necessary information for the production of reports on about foreign countries for the foreign affairs and national security of the Federal Republic of Germany, and sets out (§ 1 Abs 2) that the Federal Intelligence Service applies thereby that it is at the same time the only foreign intelligence service of Germany and thus for military foreign intelligence. It does not collect domestic intelligence. It can collect however information about the foreign country inside the country. It does not have police executive powers. Adherence to the legal regulations is guaranteed by a set of supervision and coordination and control decrees. The Federal Information Service is subordinated to the head of the Office of the Federal Chancellor. The supervision is noticed by the department 5 of the Office of the Federal Chancellor. The coordination of the cooperation of the intelligence services of the federation among themselves and their departments' cooperation with other authorities and agencies is incumbent on the head of each intelligence service. This task is assigned to aMinister of State or an undersecretary of state in accordance with organization decree of the Federal Chancellor in the division of the Federal Chancellor. Also it receives support in the execution of its tasks by the department 5 of the Office of the Federal Chancellor. According to our national law the principle of the division of power the parliament controls an action of the executive. The intelligence activity does not form an exception. However their control is regulated because of the specific characteristics (need for secrecy, source protection) in a special law. A revised version of this law was strengthen in June 1999. The parliamentary control of the intelligence activity of the federation is noticed by the parliamentary control committee of the German federal daily. 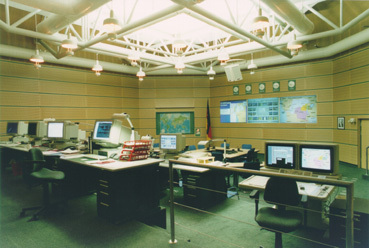 In the parliamentary control committee different, summarized noticed control competencies to June 1999 in separate committees, so that the German Bundestag can improve its control. The Federal Government is obligated under the control committee law to inform the parliamentary control committee comprehensively about the general activity of the intelligence services of the federation and about the procedures of special importance. The parliamentary control committee submits a report to the German Bundestag in the middle and at the end of each electoral period about its oversight activity accomplished up to then. Under the law the Federal Government is further obligated to the parliamentary control committee, if certain conditions are given, to provide insight into documents and files of the services. The Federal Government has the parliamentary control committee to beyond that permit to listen to personnel of the services to make possible as well as for it attendance with the services. In individual cases the parliamentary control committee can assign under certain conditions an expert to accomplish for the perception of its control tasks of investigations. The parliamentary control committee is informed by the responsible Minister in terms of highest 6 months about the execution of the law to article 10 Basic Law by the Federal Information Service in the framework by article 1 § 2 and articles 1 § 3 G 10. On the execution of the measures for strategic control of the communications traffic by the Federal Intelligence Service (e.g. the monitoring of international wireless telecommunications relations) the parliamentary control committee reports to the German Bundestag annually. The Federal Intelligence Service manages its expenditures according to a secret economic plan. The approval of the economic plan and expenditure control are incumbent on a committee of members of the budget committee of the German federal daily (in coordination with the Confidence committee); see § 10a BHO. With the approval of the economic plan, as also with expenditure control, the parliamentary control committee has a right of participation and/or hearings (Mitberatungs). The confidence committee is selected for each electoral period again and consists at present of nine members. The annual account as well as the household and business management of the Federal Intelligence Service are examined by the Federal Audit Office (§10 exp. 3 BHO). The examination is made by the so-called Dreierkollegium along with further consultation with civil servants for assistance. The result of its examination is communicated to the Federal Audit Office parallel to the confidence committee's report to the parliamentary control committee, the Office of the Federal Chancellor and the Federal Ministry of finances. The Federal Commissioners for the data security adhere to the Federal Law for Data Protection and other domain-specific regulations for the data security controls also in the Federal Intelligence Service as in other federal authorities and other public places of the federation. It submits every two years a report on the activities to the German Bundestag. The Federal Commissioners for the data security can be contacted by a citizen if he is hurt by an opinion, by the processing of his personal data by federal authorities or other public places of the federation in his rights. The Federal Commissioners for the data security is with the fulfilment of his tasks technically independent and only to the law subjected. It is subordinate to the legal supervision of the Federal Government and the supervision of service of the Federal Minister of the Interior. Brochure "the presidents of the Federal Intelligence Service"
1. It is furnished an agency Federal Intelligence Service. 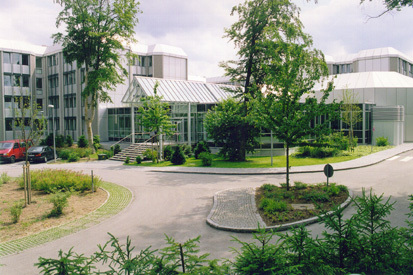 It is attached the Office of the Federal Chancellor. 2.Die " organization Gehlen " is transferred under close instruction of the Federal Chancellor into the Federal Intelligence Service. The Gehlen organization is the forerunner organization of the Federal Intelligence Service. General Gehlen and remainders of the staff of the "department of foreigner of armies east" had already operated in 1946 under the designation "Gehlen organization" for American agencies within the domain of the military east intelligence. At the end of of 1947 the "Gehlen organization" moved to the area still used today by the Federal Intelligence Service in Pullach. 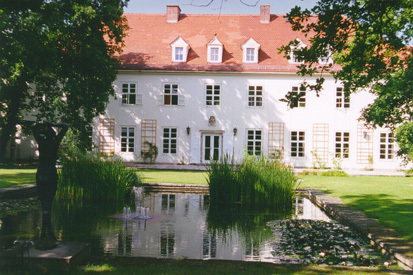 From these historical reasons the center of the German foreign intelligence service is spatially separate, from the seat of the government in Pullach from Munich.